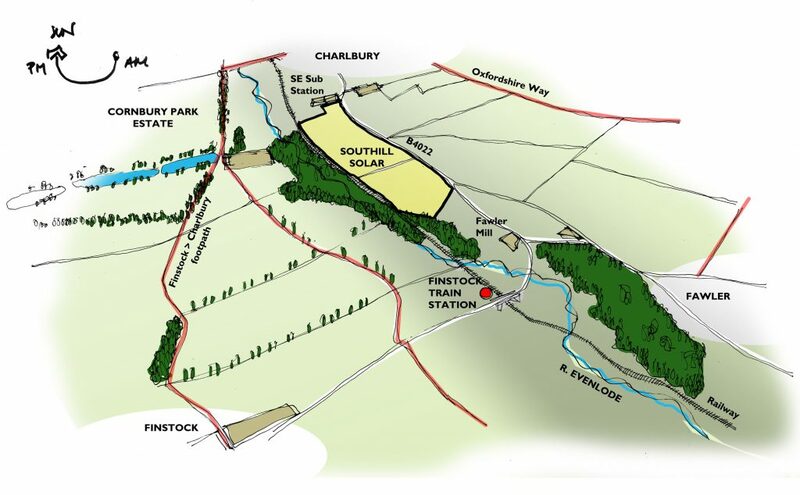 Southill Community Energy appointed ClewsLA to produce a Landscape and Visual Impact Assessment and landscape design for their proposal to create a community owned 5MW solar farm in the parish of Charlbury, West Oxfordshire. Charlbury lies within the Cotswold AONB and neighbors Cornbury Park Estate, a grade II* listed park and garden. The best available site was selected and a locally based team of professionals led by Sustainable Charlbury successfully applied for a government WRAP (Waste and Recourse Action Plan) R.C.E.F. (Rural community energy fund) grant to undertake a feasibility study. We were the first successful applicant to be awarded this grant. 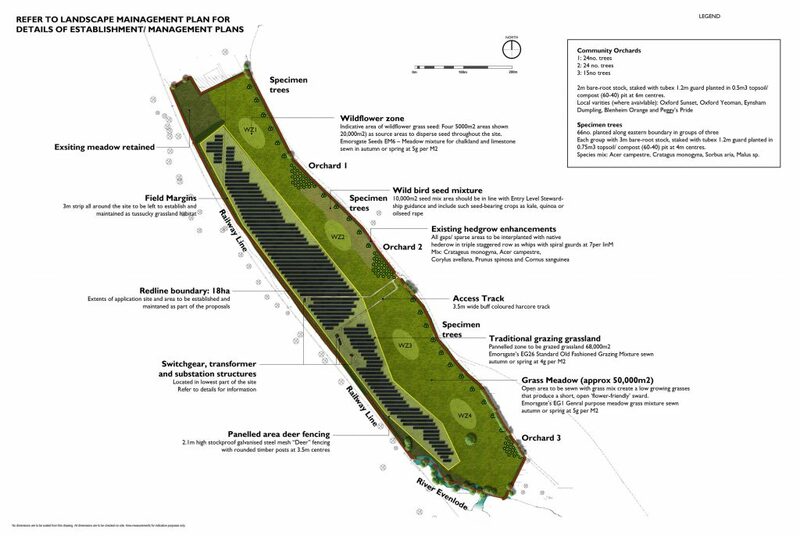 Following a number of public consultations this was developed into a planning application with strong public backing but which proved to be unsuccessful and was near unanimously rejected at committee. Following this rejection we met with the planners and came up with the “Bring Your Brolly Day” to reengage the public, demonstrate visual impact and allow the community to be a integral part of the design process. The day was an overwhelming success with over a hundred participants of all ages (Charlbury’s population is only circa 3000). Following the initial planning rejection it revitalised the project, brought the community together and proved beyond doubt the project could be delivered with minimal visual impact, even in this highly sensitive setting. 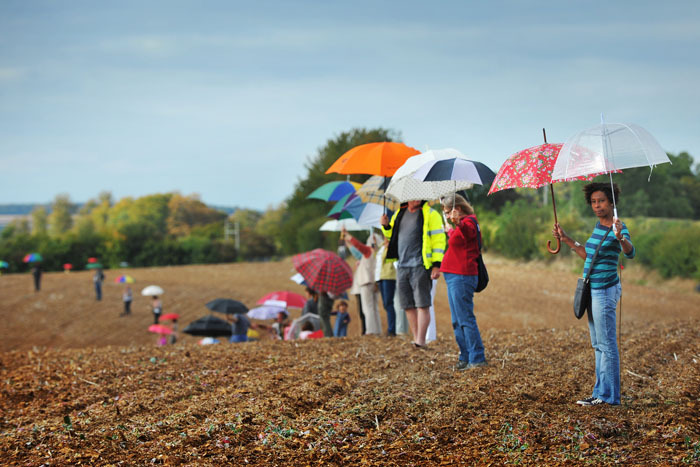 Participating on the day was very special too; it was like being part of sculptural installation with an 850m long line of over a hundred multicolored umbrellas strung out along a bare ploughed field. The site is a long and undulating valley side field. Whilst the initial 3D models helped in assessing the visual impact, as a community project the funding was not available to generate completely accurate CGI’s. 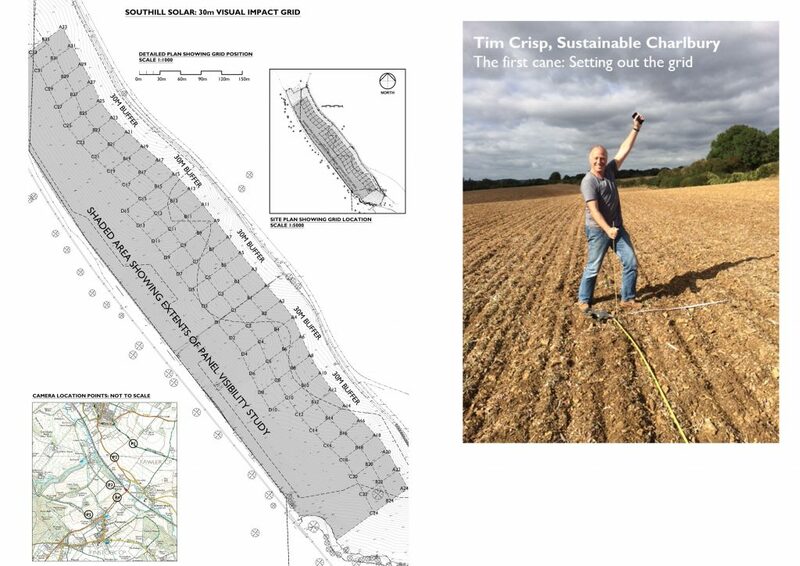 By simultaneously photographing the site from selected viewpoints from a 360 degree spectrum we could generate really accurate photomontages; the results were surprisingly affective and extremely useful in redesigning the site. 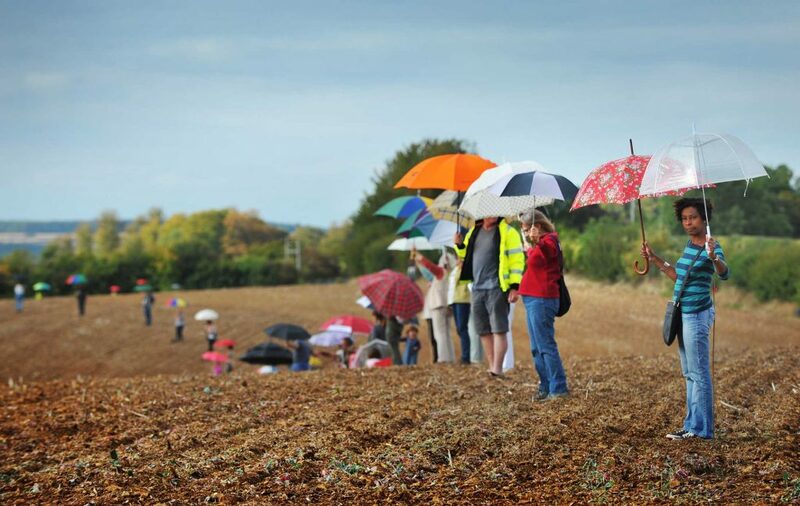 The photos of the ‘Bring Your Brolly’ event radically influenced the design process and allowed the community to decide what was acceptable; the revised scheme was re-submitted, supported by planners and was approved at committee. 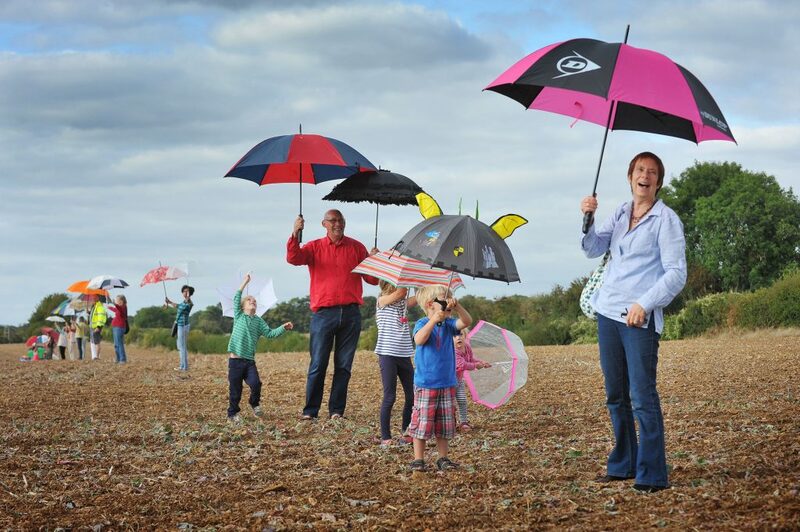 The ‘Bring Your Brolly’ event won a Landscape Institute Award in 2015 as it made the community integral to the design process both physically and practically. It clearly demonstrated visual impact on a very tricky site and allowed the community to decide on the fine balance of impact against community return. Perhaps most importantly it proved to be a key factor in turning a rejection into an approval with the project due to begin onsite in 2016.